With the warmer weather and longer evenings almost in full swing, it's definitely time to dig out your bucket and spade and gallivant to the seaside. 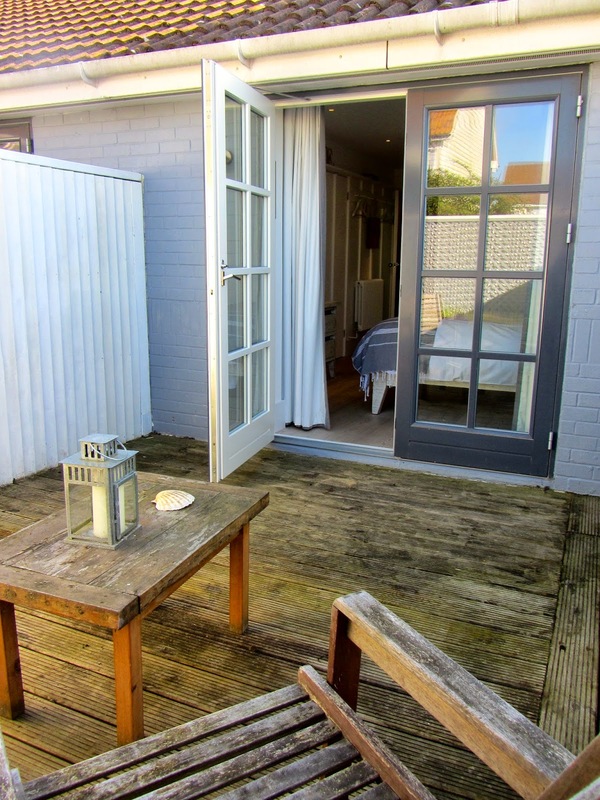 And where better to stay than at the fantastic Gallivant Hotel in East Sussex, it's literally a seashell's throw from the glorious, unspoilt beach at Camber Sands. We ventured down to The Gallivant the other week and it was one of those lovely, happy and memorable days. We caught the train to the beautiful, historic town of Rye which is one of the Cinq Ports, and had a fun time roaming the cobbled streets, perusing the antique shops and enjoying some good old fish and chips. Then it was a short taxi ride to The Gallivant Hotel. 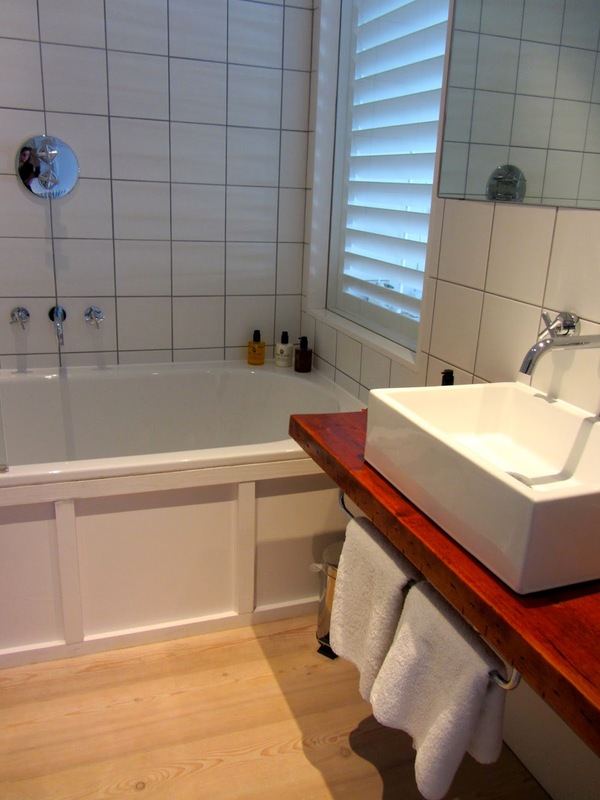 Being a boutique hotel with only 20 rooms, The Gallivant is intimate, homely and pure beach chic. The entrance takes you straight into the reception with its bookshelves, dog basket, a blackboard with daily weather reports and a friendly receptionist who not only checks you in, but does a sterling job doubling up as concierge, room service and helping with anything else you may need. The rooms range from 'small' to 'biggest', some with their own private sun decks. 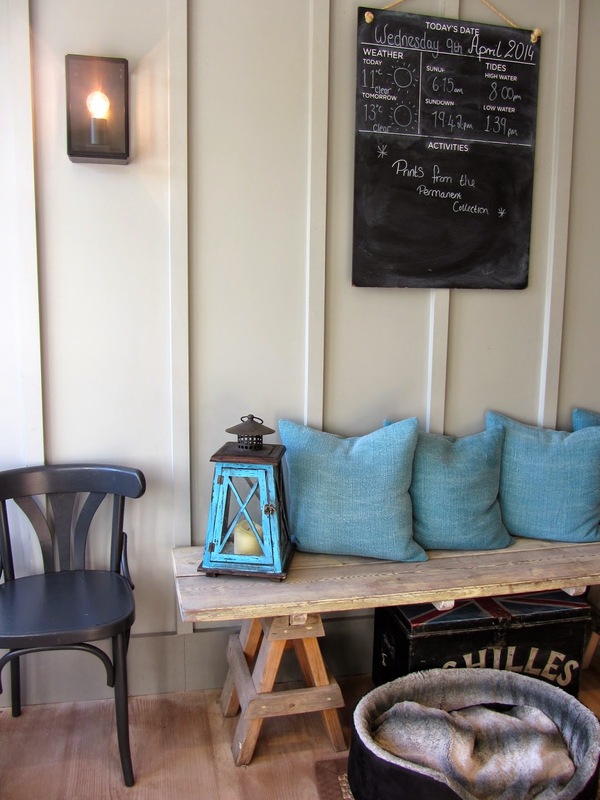 All are decorated to a high standard - tasteful and upmarket, yet rustic and beach style. We're talking white-washed floorboards, driftwood furniture, retro telephones, crisp white linen and deck-chair style fabrics. 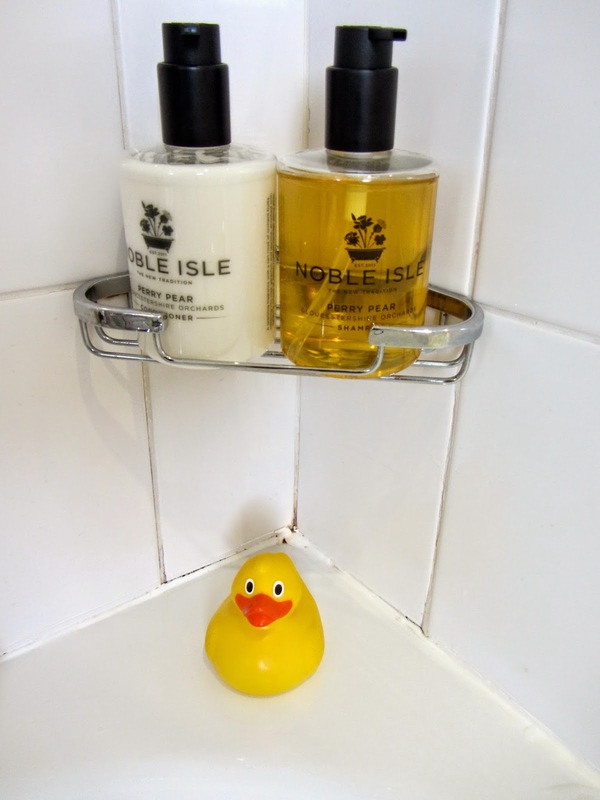 You'll find a flatscreen TV, fluffy robes, tea & coffee facilities, homemade biscuits, a rubber duck and even a 'Do Not Disturb' sign which on the reverse says 'Gone To The Beach'. Little people are looked after too with travel cots and kids' DVDs on request. The Gallivant with its New England style, is also perfectly equipped to host beautiful coastal weddings and memorable private parties. After we'd settled into our enormous room and had a quick cuppa, we crossed the road and walked over the dunes. Within minutes we found ourselves on one of the most beautiful stretches of sand in the UK, and despite being a tad windy that day, it really was invigorating taking in all that sea air. I used to go to Camber Sands as a youngster and have many fond memories of climbing through the grassy dunes, building sandcastles and getting sand in my sandwiches. So returning for the first time in several years, I'm glad to say it hasn't changed a bit. 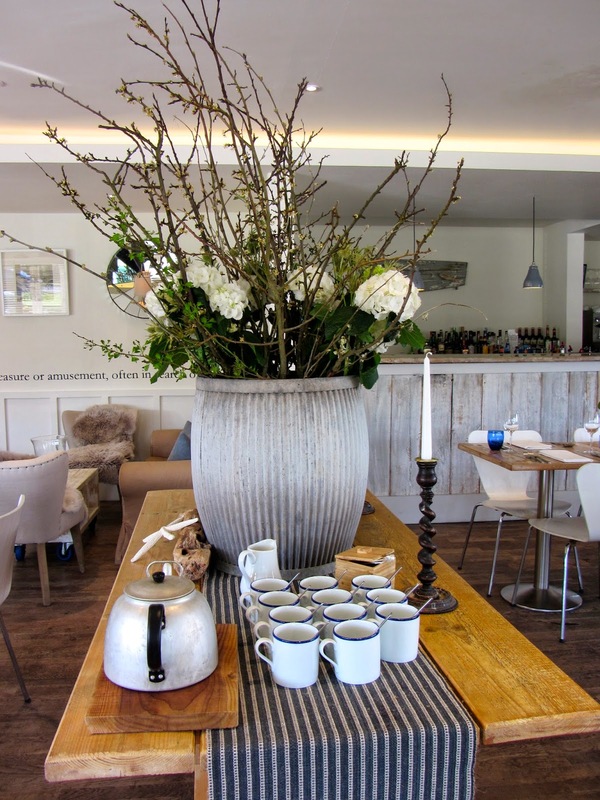 As well as the relaxed ambience and its stunning seaside location, the main highlight of The Gallivant has to be the award-winning Beach Bistro. Again, the interior has been done beautifully and works perfectly whether you're enjoying a hearty breakfast, afternoon tea or a romantic dinner. It also incorporates an informal area where you can sit on comfy chairs by the log fire and enjoy a drink, play a board game, or read a book. The Gallivant prides itself on sourcing food from local farmers, fishermen and other nearby suppliers. and sheep roam on the nearby Romney salt marshes. My partner and I enjoyed dinner in the Bistro, which included the roast Winchelsea salt marsh lamb which was cooked to perfection, and one of the daily specials - crispy ox cheek with chargrilled courgettes. Everything on the menu was mouth-watering including devilled crab, cheese soufflé, pistachio-mousse filled brandy snaps and homemade mini doughnuts. There is an extensive and varied wine list which includes a good selection of local Kent and Sussex wines. We enjoyed a chilled bottle of Sancerre rose with dinner, which was a perfect accompaniment. The following morning, we awoke to serenading seagulls and another day of blue sky and sunshine. Breakfast in the Bistro was a great start to the day and so much choice from homemade mueslis, compotes and banana bread, to cooked breakfasts, porridge and even a 'recovery station' sporting DIY Bloody Marys and sachets of Alka-Seltzer - just in case you overdid it the night before. Nice touch. It was time for another quick stroll along the beach, before packing our bags and heading back to city life. 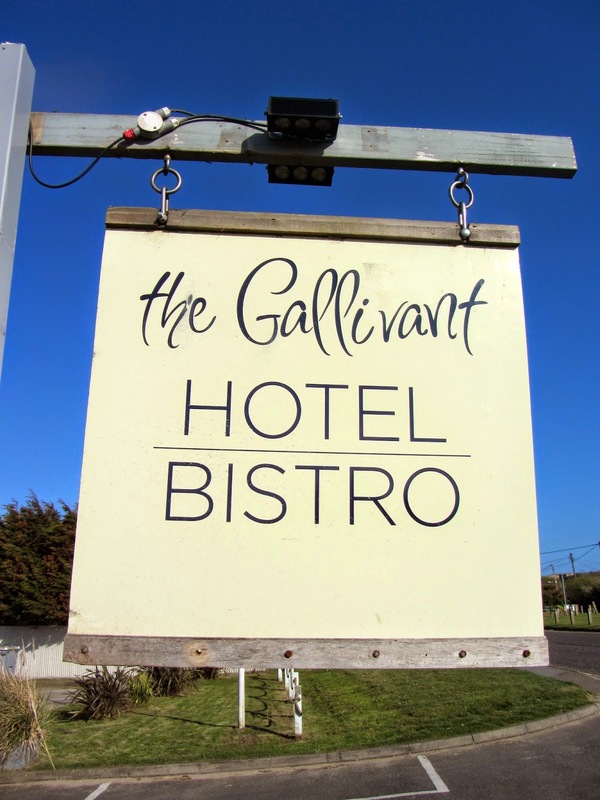 I thoroughly enjoyed our escape to The Gallivant and highly recommend it to anyone who appreciates an unstuffy place to stay with fine cuisine, friendly service and of course for those who do like to be beside the seaside! I look forward to returning when my little boy is old enough to master his bucket and spade technique and appreciate the joy of a 99 Flake whilst paddling in the sea.